Muddle mint leaves, simple syrup, and crushed ice in rocks glass. Add rye and fill glass with ice. Pour into cocktail shaker and shake vigorously. 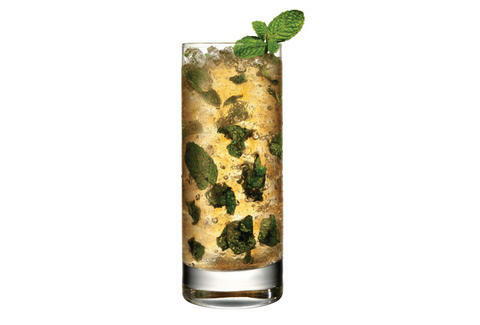 Serve in rocks glass with fresh mint garnish.